The New Zealand Youth Choir is New Zealand's award winning national choir for the country's top young choral singers. All 56 members of the choir join us to present their 2019 repertoire. In 1992 the choir won the Silver Rose Bowl in the 'Let the People's Sing' competition as the Best Choir in a field of 26 choirs from 15 countries. 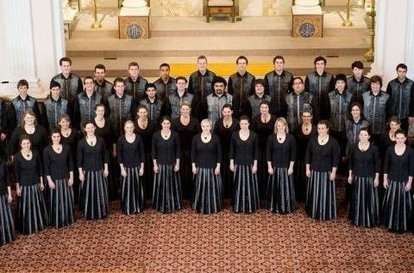 the choir represented New Zealand at the third World Choral Symposium in Vancouver in 1993 as part of a five week North American tour, and in 1996 the choir tour Australia, appearing at the fourth World Choral Symposium in Sydney. One of the Choir's greatest achievements was during its five week international tour to Europe in June and July 1999. The highlight of this tour was winning the 'Choir of the World' title at the International Music Eisteddfod in Llangollen, Wales. A week later they won the 'Grand Prix Slovakia' and in 2016 won the Grand Prix at International Festival of Academic Choirs (IFAS), Pardubice, Czech Republic.